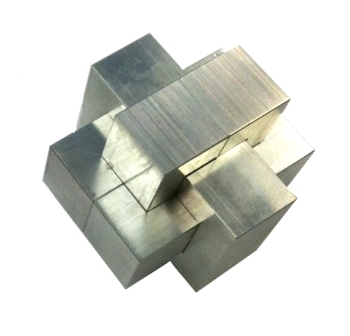 A classic delvil's burr puzzle (take apart, put together), made from metal, this puzzle weighs almost half a kilo (approx. 1 pound). Made by: William Strijbos. This product was added to our catalog on 21.06.2011.